As a specialist for process and system control we offer individual all-in-one solutions for automations from a single source. Our solutions are always custom-made and without interfaces, with a consistent range of services starting with the project consultation and planning all the way to assembling and commissioning as well as training and continuous service. 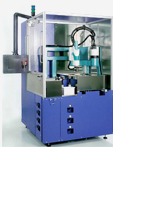 One of our main focuses is on the modification of existing systems to the newest automation technology. We actualize your hard- and software up to the most modern standards- independent of manufacturer and year of construction of your system. This can pay off for you! GAPO Automatisierungstechnik is a highly flexible, effective and manageable company with a short decision making process. Due to the extensive network with other companies GAPO is also providing the output of a large-scale enterprise. Thus you are in good hands with us when it comes to large-scale projects as well as smaller automation tasks. Success is created by employees! You want to dedicate your know-how and creativity to our company everyday? You can work independently and at the same time you are able to play an active part in a team? Then we have the right job for you! Look at our job opportunities! If you are qualified, we are looking forward to your application!